1.) What even is Australian Ninja Warrior? Australian Ninja Warrior is a reality television show to be aired on Channel 9 and produced by Endemol Shine Australia (they know their reality TV; The Voice, Survivor, Biggest Loser, etc). The main premise is have competitors attempt the world’s hardest obstacle course. It is based on American Ninja Warrior (8 seasons so far) which in itself is based on the Japanese Susuke (32 seasons, 2 per year). Sasuke was half jokey, half serious. A lot of novelty acts and celebrities would attempt the course interspersed with the serious competitors. They’d set up one course with 4 stages and see who got the furthest out of 100 people. In 32 seasons, only 4 competitors (one person twice) have completed all 4 stages. American Ninja Warrior has a different format, they have regional qualifying course runs in about 5 cities, then regional finals, and then have their 4 stage course for approximately 100 of athletes that qualified. The few celebrity/athletes to try the course usually go out in regionals. Athletes can only attempt each stage if they successfully competed the previous stage. There is also Ninja Warrior Sweden and Ninja Warrior UK. 2.) Will there be prize money? My guess is yes…. which would be a shame. Sasuke never had prize money, competitors only took on the course for the challenge. American Ninja Warrior initially offered $500,000 to the fastest person to finish stage 4. After a few seasons of no one getting to stage 4, they jumped it up to a million dollar prize money. Spoiler alert, someone one last season and so the prize money is back to $500,000. I honestly don’t think American Ninja Warrior needed the prize money. The winner honestly had a great life of bussing tables in the winter and then living out of his van with his girlfriend in the other seasons taking groups out on rock climbing adventures. Some people purely attempted the show for the money, but honestly, the years of training required make it a terrible investment. 3.) What locations will Australian Ninja Warrior be in? Nothing has been officially announced yet, but I would guess trials will be held in Melbourne, Sydney, Adelaide, Perth and Brisbane. 4.) Are there trials before you get on the show? Yes, if your application has been selected, you’ll need to prove your fitness and strength in person, along with a quick interview before you’d be offered a chance to compete. American Ninja Warrior tackles it a little differently, mainly because the population is so spread out across the country. They offer people a spot based purely on their application video. They then have about 10 spots per regional for walk-ons. The walk-ons prove their fitness, and once they’ve got their number of spots filled, they close it. People have camped for 3 weeks in these walk on lines only to never get a chance to even prove their fitness. 5.) Will travel and accommodation be paid for? Again, nothing has been announced, but I’d guess no. On American Ninja Warrior if you make it to Las Vegas for the final, you get a stipend for a room and travel for just you. Everything else is covered by the competitors. 6.) What are the dates of all the things? Dates still need to be firmed, but I’ll update this post when information is announced. So far we know that applications are due by 5pm on the 9th of September. If your application is successful, you’ll need to appear on the trial day closest to you on the day nominated by the show. These trial days are held sometime between the 12th of September and the 7th of October. If you’re successful again then you must be available for filming between 28th of November and 16th of December. I haven’t quite worked out how this will all work. They’ve got a month to travel around Australia running trials, but only 3 weeks for filming. 3 weeks seems too short for constructing, taking down and moving an obstacle course from city to city, but too long to just have one national obstacle course in a Gold Coast or similar. American Ninja Warrior films the Las Vegas final over 2 days. 7.) How do I apply? Just run on over to here, fill out the application and attach a video. In the video talk about yourself, you occupation and how you keep fit. 8.) Can I get spectator tickets? Yes and no. My guess is they’ll provide spectator space for competitor’s cheer squads, and then allow the public to come in and watch as those cheer squads start to filter out. I reckon it’ll be one of those ‘free but no guarantees’ type deals. If my guess is right, then details for spectating won’t be available until well after the October. As usual, if we’ve missed anything or you have any particular questions, let us know in the comments down below. hi, just enquiring how I can purchase tickets to the Sydney trials ? Unfortunately the trials have already finished for this year. AusNW has already got their list of competitors. If you mean tickets for the heats, then they are still to be announced. I’d expect that information to be available late November. SASUKE does actually offer prize money. from tournaments 1-17 the prize was 2,000,000 Yen, and from 18 onwards, it was increased to 4,000,000. A car was also offered along with the money in 24 as well. I guess it makes sense given how popular it is. 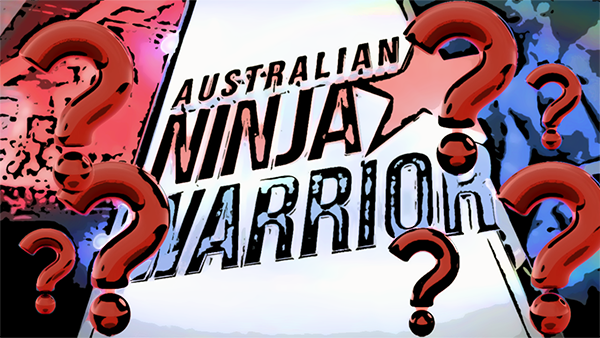 → How long does it take to train for Australian Ninja Warrior?